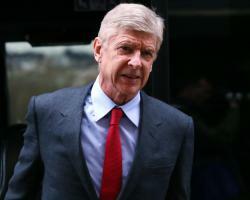 Wenger has been touted as one of the potential candidates to succeed Roy Hodgson, who last month resigned in the immediate aftermath of England's embarrassing 2-1 defeat to Iceland at the last-16 stage of the European Championship. But if the Football Association wants the 66-year-old Frenchman then it will have to wait until the end of the forthcoming 2016/17 season as Wenger intends to honour the remaining months on his contract with Arsenal. Did they panic or were they tired? I don't know, but England couldn't find an answer to what Iceland posed."